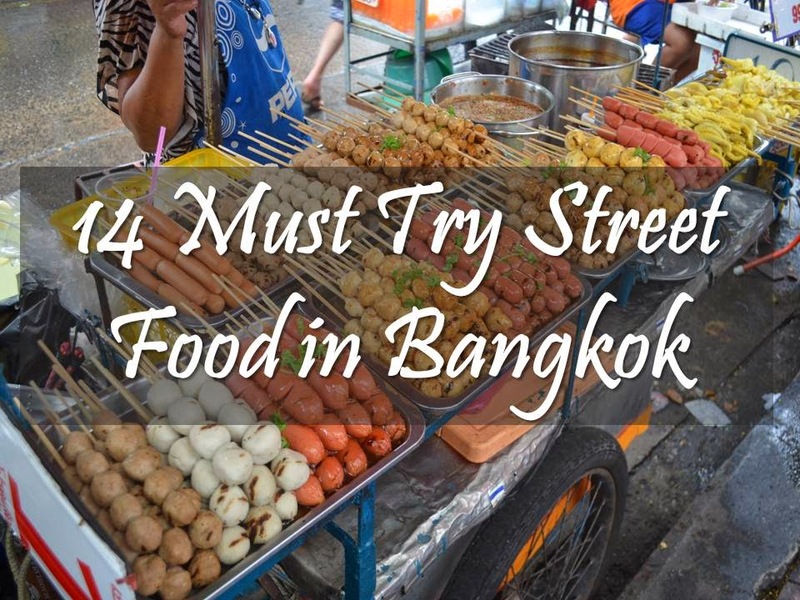 14 Must-Try Street Food in Bangkok, Thailand | JACQSOWHAT: Food. Travel. Lifestyle. No doubt it looks sinful but these fried chicken taste so good that we buy it each time we see them on the streets. Crispy on the outside and totally tender/ juicy within. 7 baht for wing & 15 baht for a big drumstick, cheap aye? The fishes are stuffed with lemon grass leaves and other aromatic herbs. It is then rolled in salt before it's grilled over low burning fire. The fresh meat within were moist and remember to go along with the sauce given! Unlike the thin ones we had in Singapore, the Otah (cake made of fish meat paste) are stuffed in a cup of pandan leaves, drizzle over with coconut in Bangkok. And I thought to myself, 'I must try this'. Thai minced pork with holy basil, is a street food usually served with rice and topped with a fried egg. It is one of the most common dish in Thailand. It is unique of it's holy basil because it cannot be found in any other supermarket except Thai speciality store. One of my favourite dish in bkk! Thai grilled meat skewers are a convenient yet flavourful snack on the go, really well marinated! These grilled skewers makes an awesome roadside meal especially when served along with green papaya salad! Mango Sticky Rice is one of my favourite snack in bkk that we had it everyday for a week. Sweetened coconut milk on sticky rice, served with fresh mango, we are in for a sweet and delicious treat! Though we've Mango Sticky Rice in Singapore, but the mangos in Thailand are extremely sweet! We have tried many from food court in malls but none of them beats the one on the street. Here's some of must-try mango sticky rice places - Mango Tango, Mae Varee, Sukhumvit Soi 38 night market. 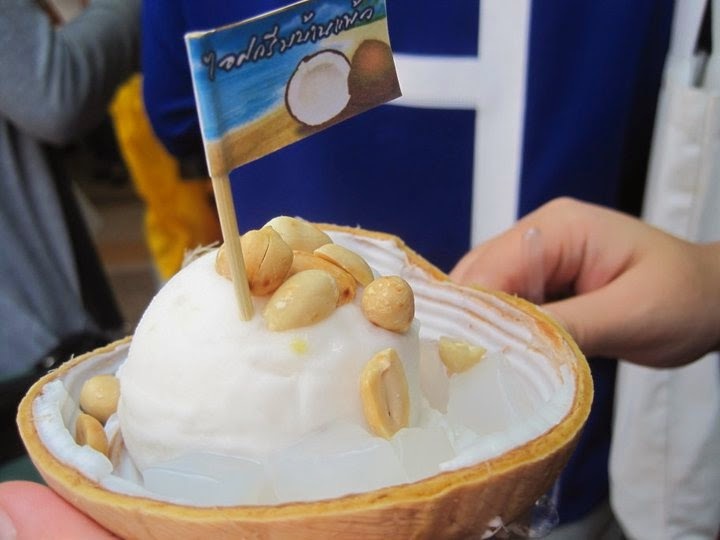 There are several stores to get your coconut ice cream fix but the best and famous one could be found at Chatuchak market, during the weekends. At 35 baht, you'll get a scoop of refreshing coconut ice cream, and 2 toppings of your choice. It's at Kamphaeng Phet MRT Station, entrance of section 2 of the market. Grilled bananas can be found everywhere in Bangkok. It is roasted till golden brown on the outside and fluffy within, served with sweet syrup. If you're looking for a sweet snack, be sure to have them on the go. We have plain & egg prata in Singapore but definitely not the one with melted bananas within. This can be commonly find throughout Bangkok but we chanced upon a stall with several toppings at Khao San Night Market. Crispy, delicious, sweet, drizzle over with condensed milk - this is to die for! When it comes to Thai cuisine, first thing that will come into your mind would be Tom yum, I'm sure next would be Pad Thai. It's a famous Thai noodle dish made of stir fried rice noodles, served with egg, peanuts, sprouts, shrimp, tofu and usually chicken meat. So far the best Pad Thai we had is at a alley in Pratunam market, but I'm sure there are even better ones. Any recommendations! I don't usually eat squid even in Singapore, because of the rubbery and hard texture that I always encounter that makes me avoid them. But the ones in Bangkok definitely surprised me. It was soft and chewy and it's usually served with a bag of spicy sauce for you to go along. Thumbs up. Not considering the cholesterol level these little eggs hold, quail eggs are one of my favourite snack in Bangkok. They are cooked in iron pans till it's fully crispy on the surface. Simple yet tasty. Found this gem during my latest trip to Bangkok, located in an alley in pratunum area. These fried fermented pork comes in 3 parts of the meat: thigh, belly and lean pork. We tried all and no doubt the pork belly were the best among the rest. We went back for 2nd round, can I emphasize how cheap they were? 100g for 35 baht! omg!!!! 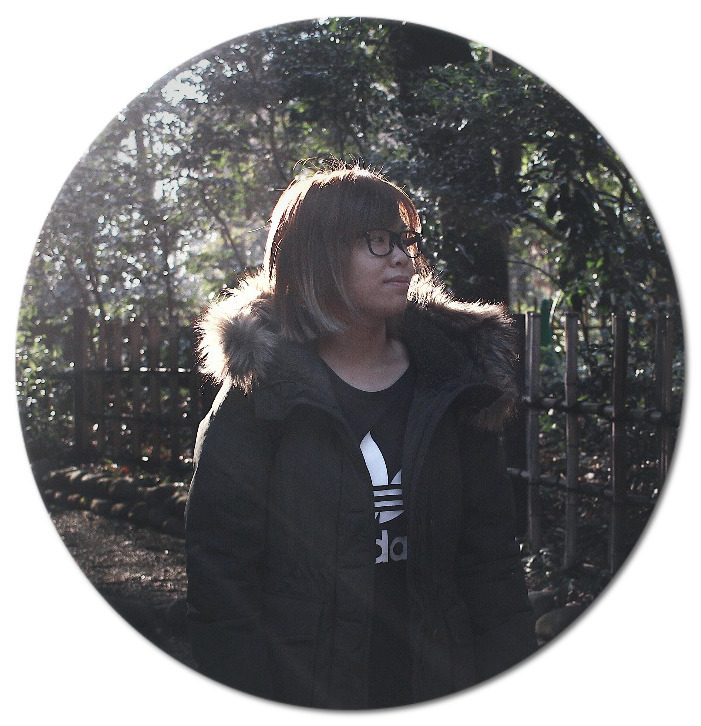 just came across your blog! 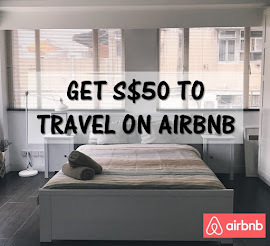 love that you can always travel! envy!